We have a cumquat bush which is 3-4 metres tall and very prolific. I love trying recipes which traditionally use oranges to see how they turn out with cumquats. 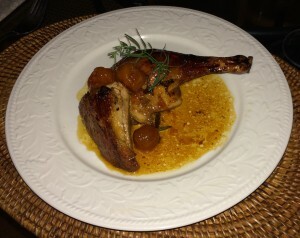 This easy duck with orange sauce recipe which I’ve been making forever was easy to adapt and the result was delicious. The cumquats are just a garnish, so if you don’t have any you can leave them out. 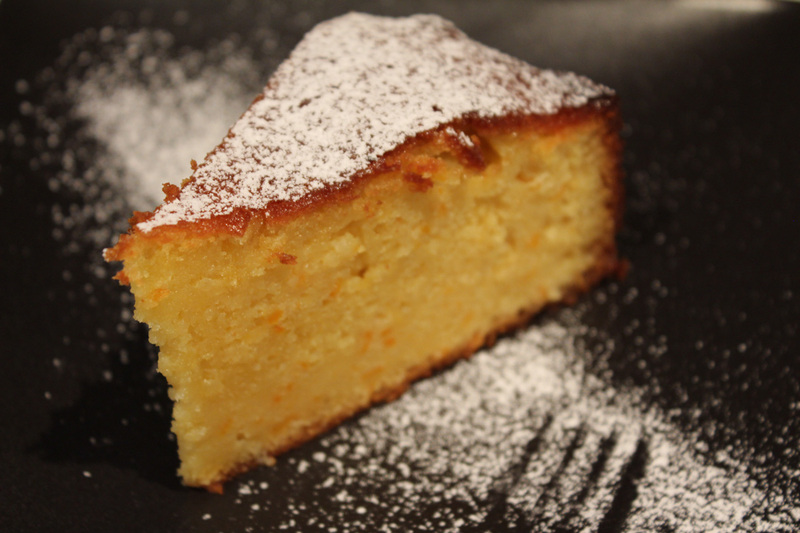 Other cumquat recipes on Café Cat you might like to try are Cumquat, Date and Ginger Chutney and Cumquat and Almond Cake. Preheat oven to 200°C. Prick duck all over with a fork. Place salt, pepper, rosemary and orange zest in food processor and pulverise. Rub this mixture all over and inside the duck. Roast for 40 mins per kilo and a bit longer if necessary. Duck should be nicely browned, crispy and cooked through. While duck is cooking make the sauce. Place all ingredients in a saucepan and cook, stirring, until thickened. Leave aside. While duck is cooking prepare the cumquats. Place in a saucepan with the water and simmer gently for 30 mins or until soft. Remove cumquats. Add sugar to liquid in pan and cook for 5 minutes to form a syrup. Return cumquats to the pan and continue to cook gently for 30 mins or until the fruit is glazed and syrup has reduced to about a quarter of a cup. When duck is ready, remove it from the roasting pan and tip off all the fat, leaving just the caramelised juices. Mix the orange sauce into these pan drippings. Cut four servings from the duck (keep the rest to make soup) and return them to the pan. Spoon over some of the sauce and put back in the oven for 10-15 mins to glaze. 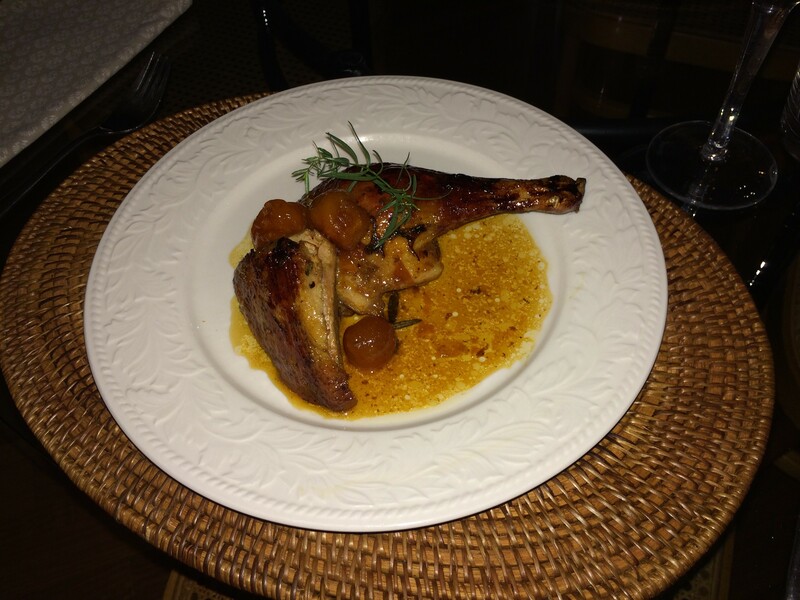 Serve duck garnished with the glazed cumquats. 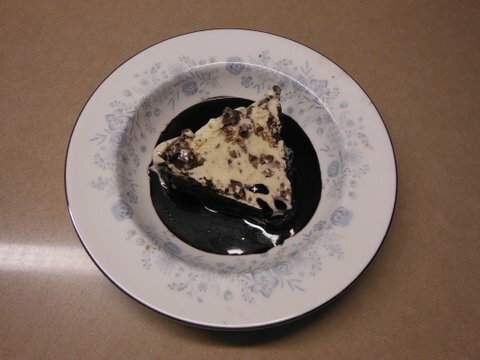 Mashed potatoes go well with this. 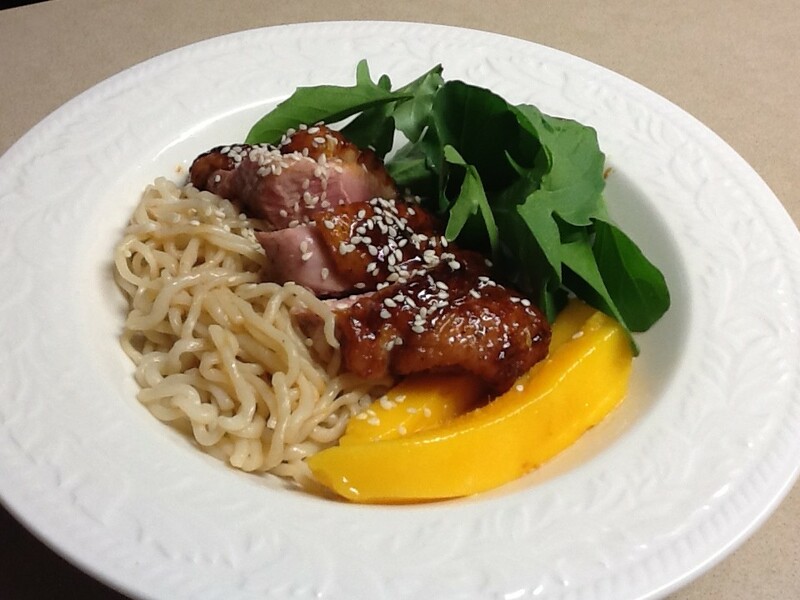 This entry was posted in Recipes and tagged dinner party, duck, easy by Linda Peek. Bookmark the permalink.